Actress Lindsay Lohan is suing game devs Rockstar and Take-Two for allegedly copying her into their Grand Theft Auto V (GTAV) game. Lohan claims that the character of the rather vapid actress "Lacey Jonas" in the game amounts to using her likeness without permission and has accused Rockstar Games and Take-Two Interactive of milking her newsworthiness to boost sales of the game. The Jonas character and side plot, which allows players to rescue her from swarms of paparazzi and take her home, was used in marketing for the game before it came out on Playstation and Xbox 360 in September last year. The cover for the game also features a woman holding a mobile that could arguably be said to look like Lohan. In another part of the game, a Lohan-like character is at a hotel very similar to the Chateau Marmont in West Hollywood, where the actress lived for two months until she was famously banned for not paying her bill. She later got the ban lifted and is still known to frequent the hotel. Lohan’s lawsuit said that the places and events in both characters’ storylines were “substantially similar” to her own life and there could be no doubt about who the game was sending up. 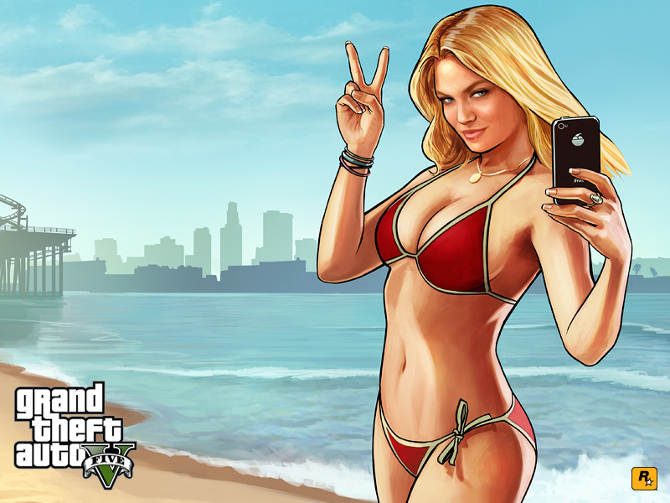 “It is unequivocal that the Plaintiff was the intended referent in the GTA V game by using her likenesses, portraits, and voice solely to advertise the game for trade purposes and by specifically announcing the Plaintiff’s name in the media as a 'Lindsay Lohan look-alike side mission' at least two months before the release of the game purely to promote, hype the game to attract sales of the defendants video game,” it said. Gossip site TMZ originally suggested that Lohan was planning a lawsuit way back in December, but it seemed unlikely given that US law allows for parody under fair use. If the court decides that the GTAV characters fit the legal definition of parody as “the use of some elements of a prior author's composition to create a new one that, at least in part, comments on that author's works”, Lohan will find it pretty tough to make a case.